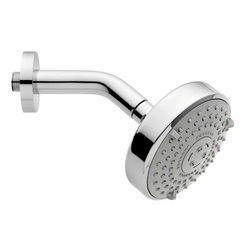 To meet the variegated requirements of our respected customers, we are manufacturing and supplying a wide array of premium quality Bathroom Showers. Our engineers have precisely-engineered these bathroom showers in a complete compliance with the industry laid standards. Available with us in various designs, patterns and sizes, these bathroom showers are highly acclaimed for their remarkable features such as corrosion resistance and fine finishing. Prestigious clients can avail from us a broad assortment of high-grade Bathroom Shower Fitting. Manufactured in accordance with the industry laid quality standards & norms, these fittings are available with us at highly affordable prices. Along with this, offered fittings find vast application in construction industry for the bathroom fitting.